A pair of University of Kansas cheerleaders recently spoke to the Collegian, Kansas State’s student paper, and detailed the way their team hazed six first-year cheerleaders at a children’s summer camp event in July 2017. 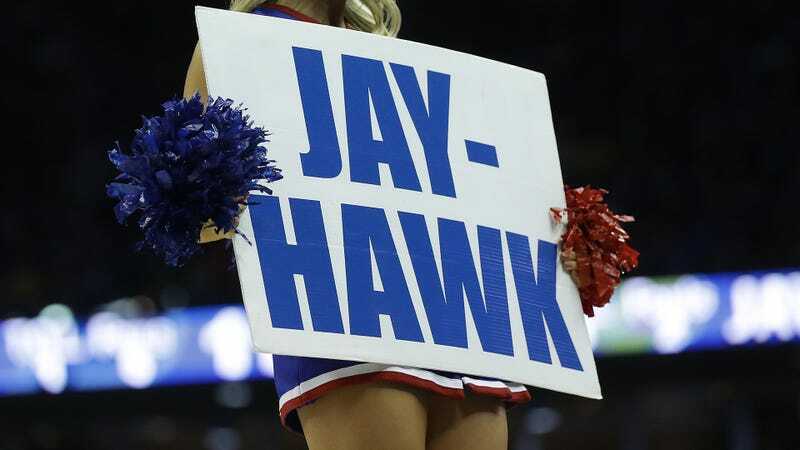 The cheerleading squad was placed on probation for one year in Sept. 2017 after the university acknowledged investigating hazing allegations that July, eventually ruling they’d violated the KU Student Code’s rules regarding organizational responsibility, harm to persons, and hazing. The incident in question took place on July 25, and the school began looking into it three days later. Then, all six of the team’s new members were led, naked, into another room, one of the sources said. Later, the source said she was moved to another room in the house. The cheer team was suspended shortly after the incident, and in January, three KU fraternities were shut down amid hazing allegations.